I’m so stinking excited about Christmas coming. In fact, I’m almost disappointed we’re already so close because that means even less time to look forward to it. And when am I going to find time to squeeze in opportunities to make all those fun Christmas recipes I pinned? 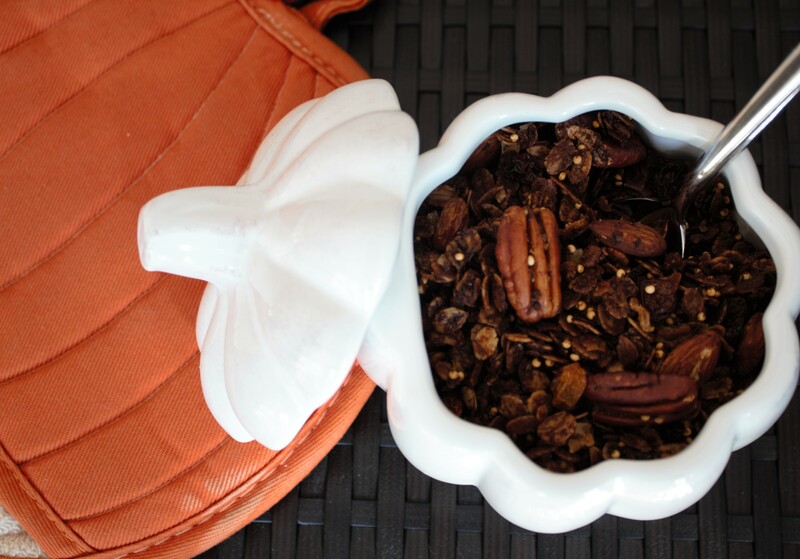 So, I had to start somewhere, and I decided to start with a gingerbread granola recipe that I found on (obviously) Pinterest. 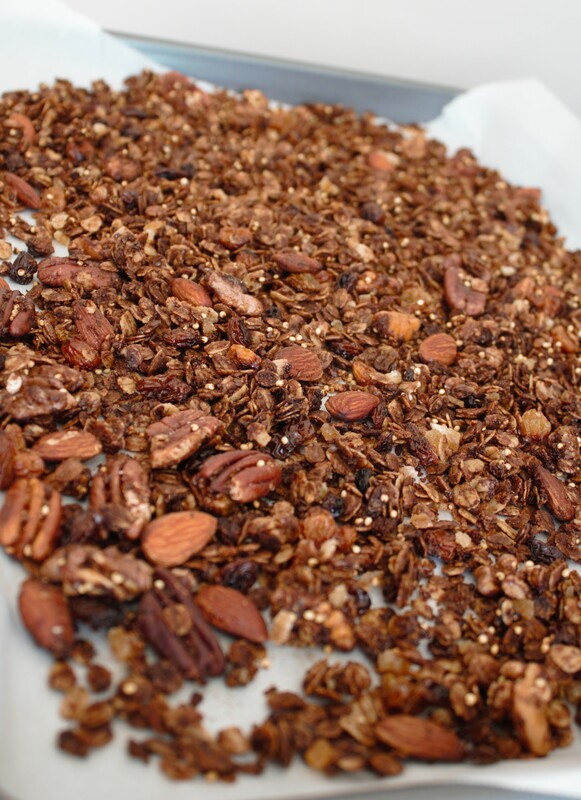 Isn’t granola pretty? I finished the whole batch by eating it plain or pretending it was cereal, dousing it with almond milk and devouring it in large quantities from a bowl. (No, I’m not trying to bulk up, I just couldn’t help it.) However, I think it would be awesome over yogurt – maybe a Greek yogurt swirled with leftover cranberry sauce from Thanksgiving and topped with crunchy gingerbread granola? Mmmmmmm. 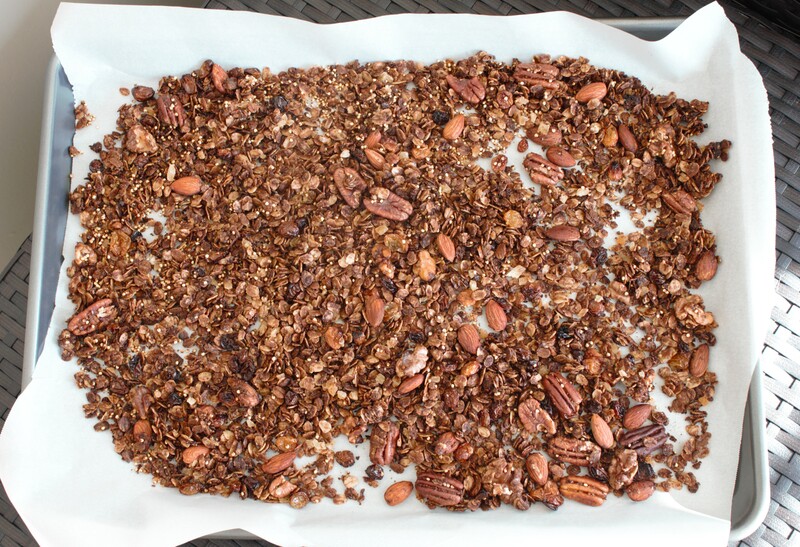 You can find the recipe for Gingerbread Granola here at Well Plated. I hope more desserts and cookies make the cut on your future posts. Oh sorry!! I will send that today. By the way, this recipe looks so yummy! Have to try this soon. You should! I thought it was great! 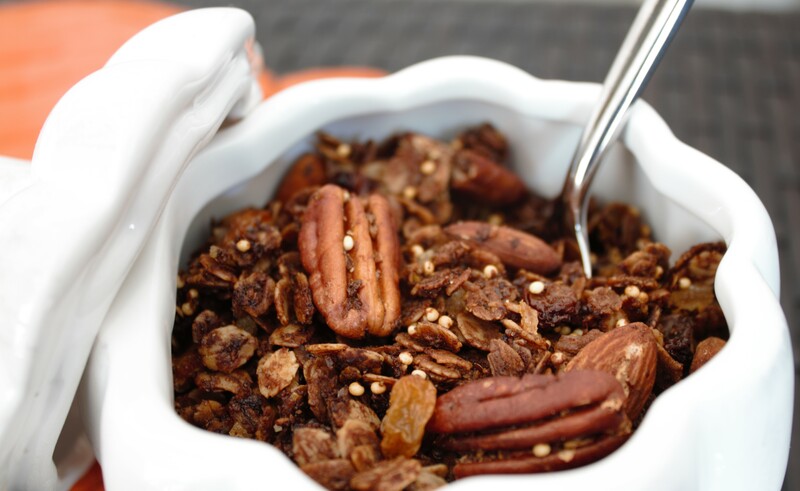 The granola looks wonderful….I like the idea of eating it as cereal with almond milk! Mmmmm, yes – I wouldn’t mind eating it for every meal! Well this looks positively delicious! Adding to my Christmas to-do list. Well, thank you, Georgia Peach! I wish you were up here so I could just share this batch with you! I wish I could share some with you as well…missing you lots these days!